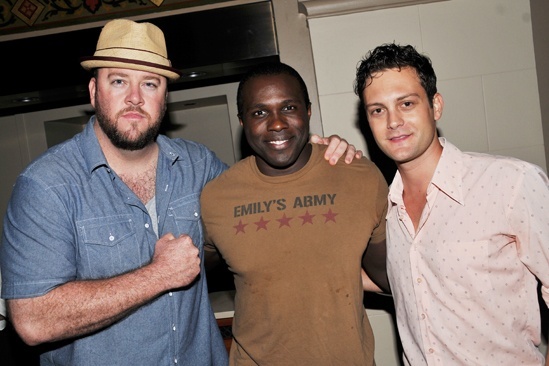 Cast members Chris Sullivan, Joshua Henry and Van Hughes come together for a post-show pic. Sutton Foster and Joshua Henry starred in Encores! one-night-only presentation of Violet on July 17, 2013.